There can be no doubt that Sir Alex Ferguson, who announced his retirement from Manchester United last Wednesday after an incredible 27 seasons, is an extraordinary character. Love him or loathe him, it is impossible to deny his impact on MUFC and his achievement as the club’s most successful manager, despite many other great names having held the same position. 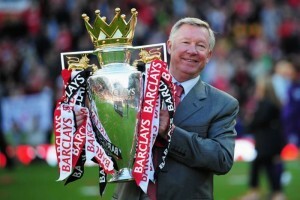 He has won the Manager of the Year award more times than any other British manager. 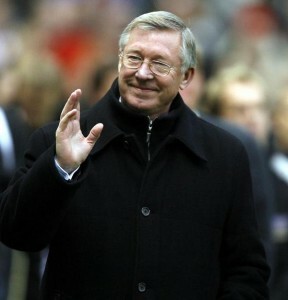 The news of his retirement hit news headlines and front pages, and the BBC’s political editor Nick Robinson even did a prime time report analysing his qualities as a leader – ‘I’ve yet to see [a leader] to match Sir Alex’, he commented. A long-term view. As well as staying in his post for an incredibly long time (he was MU manager before many of his current players were born! ), he has also taken a long-term approach to team development. While the success of the team has often revolved around star players like Keane, Cantona, Ronaldo and Beckham, Fergie has always brought new players in to ensure a broad and deep skill base, even rebuilding the team when necessary. He recognises that his players are only with him for a few years, and he plans beyond that time frame. Perseverence. It hasn’t always gone well. Some years have yielded no silverware at all, and there have been calls for his resignation, particularly in the early days. MUFC won nothing in his first three seasons, their best result being runner up in the league. But he remained focussed, and over time has delivered an unparalleled collection of trophies. Results are more often delivered over time than in the first few years. Ability to manage volatile people. Let’s face it, most of his players are young, overpaid prima donnas. Many of them have personal issues, particularly with anger. They’re not ideal team players. Their egos can get in their way. Does that sound a bit like your team? Fergie didn’t change them – he channelled them. He gave them a vision of what they could achieve together and enabled them to raise their expectations above their own personal goals. We should also take note that there are aspects of his character however that are completely incompatible with Christian mission. For example, his leadership style is utterly uncompromising – ‘My way or the highway’ – which while delivering excellent results does not always deliver good relationships. It is widely rumoured that many of his best players ultimately moved on because they didn’t like the changing room environment his iron hand created. But this did not seem to matter significantly to him, since there were always plenty of new players to replace them. As one member care agency comments – The Great Commission should not be fulfilled at the expense of the greatest commandment. All of his success of course, has been achieved on the back of a massive investment budget which has turned Manchester United from a football team to a global brand. Maybe developing inward investment should be our first priority! Whether we like Sir Alex or not, or follow his team, we would do well to study his leadership style and cherry pick the best of it. He understands how to motivate and inspire people.